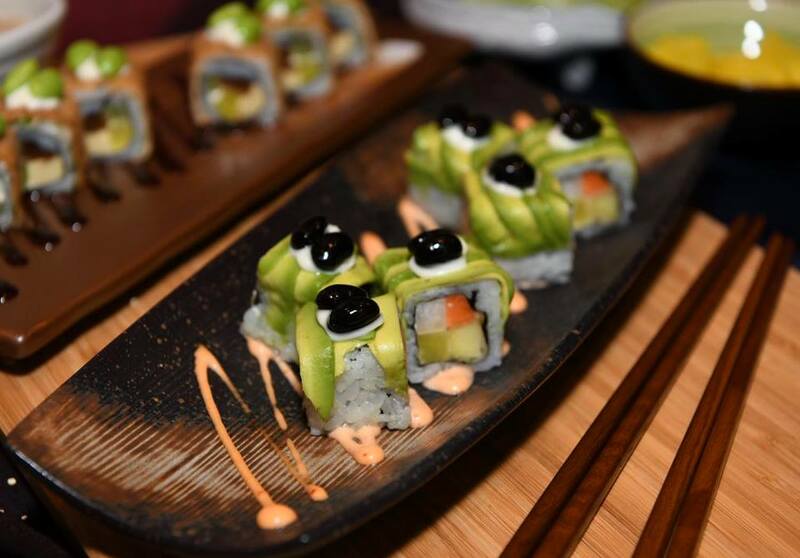 Healthy and yummy? Yes, it's possible! 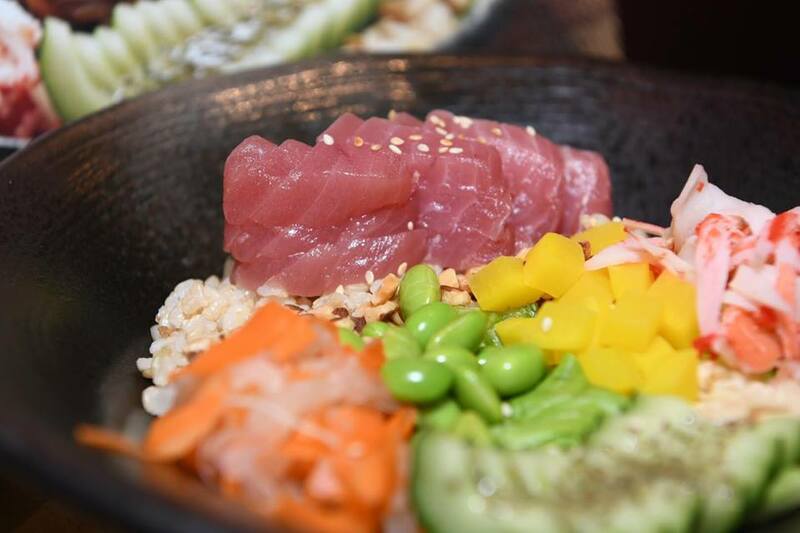 Just swing by Sushi Tei's for its latest offering, poke bowl which is full of fresh and healthy goodness. Each bowl consists of fresh raw fish and vegetables plus power packed seeds and nuts, sitting atop healthy premium Japanese Akita brown rice. All the poke bowls come with a choice of three type of sauces, the Japanese styled wafuu onion sauce, wasabina sauce and apple sauce, each crafted to complement the freshness of the ingredients. Fresh chunky tuna takes center stage in the Maguro Poke Bowl RM23.80 complemented with nutritious chia and melon seeds, gluten-free and nutrient-rich almonds, crab stick, mixed vegetables and Akita brown rice. 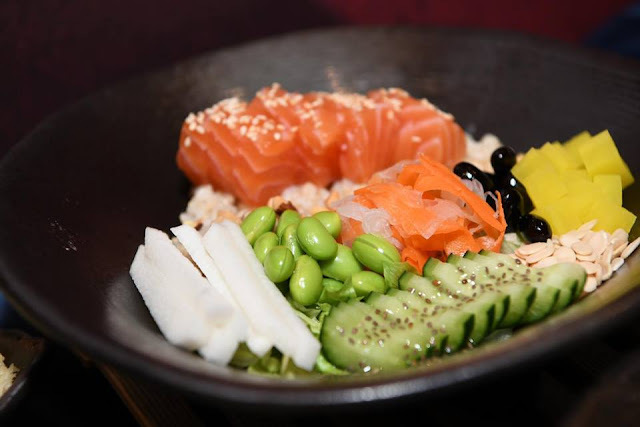 The Salmon Poke Bowl RM21.80 featuring thick cubes of salmon which is rich in Omega-3 fatty acids also includes chia and melon seeds, almonds, nutritious black beans and mixed vegetables on a bed of Akita brown rice. 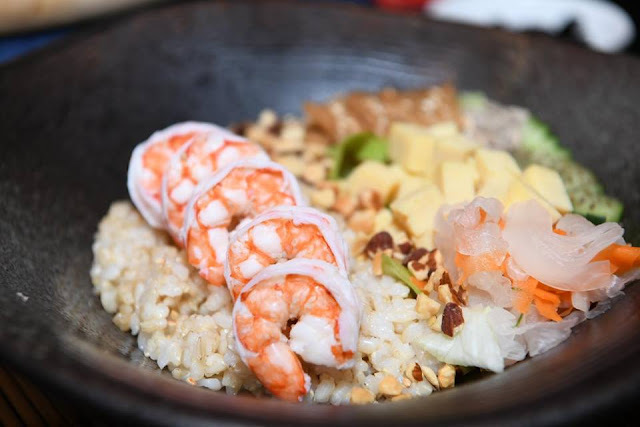 Fresh Tiger prawns are the highlight of this Ebi Poke Bowl RM27.80 which comes with chia and Vitamin E packed sunflower seeds, almonds, shredded omelette and mixed vegetables with Akita brown rice. 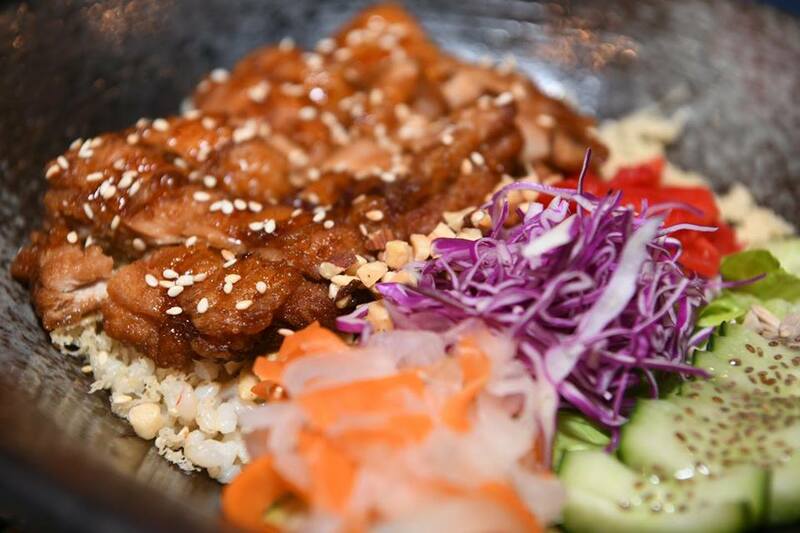 Bringing a different take to the original Hawaiian raw fish bowl, Sushi Tei offers meat lovers the Chicken Teri Poke Bowl RM18.80 that comes with a generous portion of grilled chicken served on Akita brown rice, complete with power packed chia and sunflower seeds, almond and mixed vegetables. 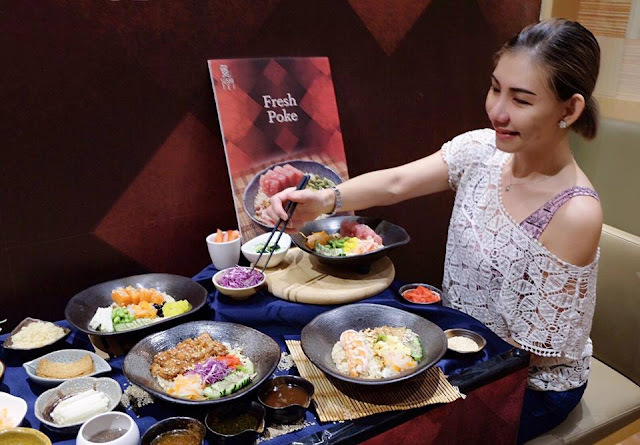 On a side note, all four poke bowls provide a delicious and nutritious meal in a bowl that is sure to keep you going for the rest of the day for less than 500 kcal per serving. 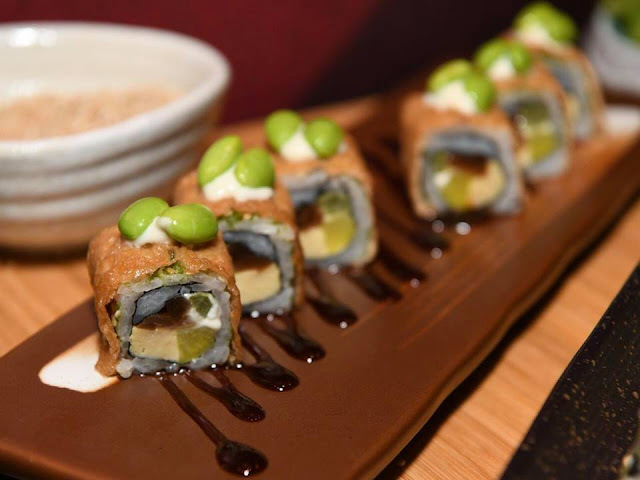 Another healthy addition to Sushi Tei's menu are the vegetarian items, which includes the freshly prepared maki sushi such as the Avocado Yasai Roll RM13.80 and Inari Yasai Roll RM13.80 made from beancurd skin. Those wanting a heartier meal, can opt for the comforting Namako Yasai RM21.80 noodle dish. This kitano miso-based soup served with a choice of udon, soba or ramen, topped with vegetarian sea cucumber, button mushrooms, pumpkin and Japanese sweet potato. Other mains in the new vegetarian menu includes Kinoko Chahan RM16.80 mixed mushroom fried rice and Nasu To Zulgini Pasta RM17.80 where pasta is pan-fried and topped with brinjal, zucchini and a half boiled egg. The vegetarian menu also serves up great side dishes such as Homemade Potato Gyoza RM9.80, Satusuma Imo To Kabocha Salad RM7.80 which is made from Japanese sweet potato with pumpkin, that is high in antioxidants and dietary fibre, Okura Natto To Yamaimo Senggiri RM6.80 a dish of Japanese yam with lady finger slices, seaweed, soy bean to be mixed in with a half boiled quail egg. Alternatively, you can snack on crunchy deep fried lotus roots when you order Renkon Agedashi RM6.80 or on Sweet Potato, Edamame and Pumpkin croquettes RM8.80 - RM9.80.